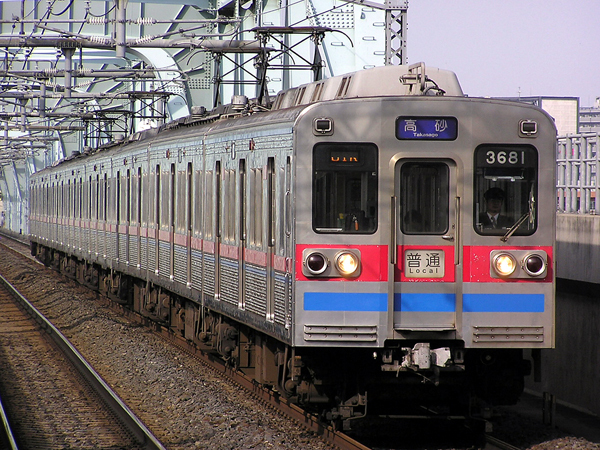 The 3600 Series is a three-door commuter-type electric multiple unit developed by Keisei to replace older rolling stock and increase carrying capacity. In the early 1980s, Keisei was in need of a new train to replace its older rolling stock such as the 210 and 700 Series trains. Keisei decided to introduce a new model built of light-weight stainless steel known as the 3600 Series. Field chopper control first used on the original AE Series Skyliner trains is used in the 3600 Series. Eight car formations' end cars are not motorized which prevents these trains from entering the Keikyu Lines. Six car formations have motorized end cars but are not operated on the Keikyu Lines. 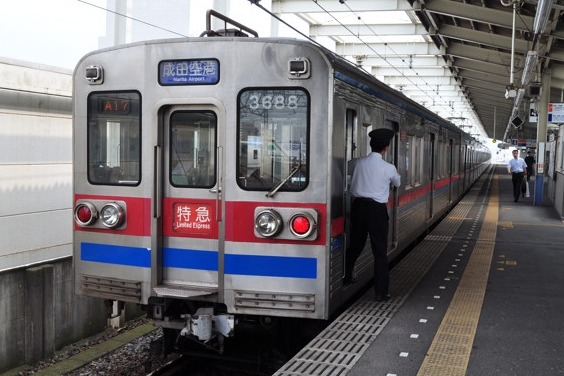 One four car formation had its field chopper control replaced with variable frequency drive and was operated on the Kanamachi Line. However, these modifications have not been made to the remaining formations. Formation 3618 was leased to the Shibayama Railway Corporation until April 2012 when it was replaced by a Keisei 3500 Series.